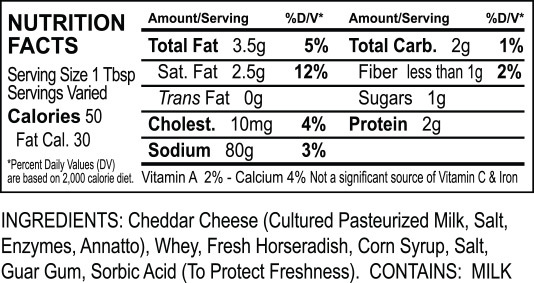 We’ve created the perfect blend of flavors with our Sharp Cheddar Cheese and fresh spicy Horseradish. 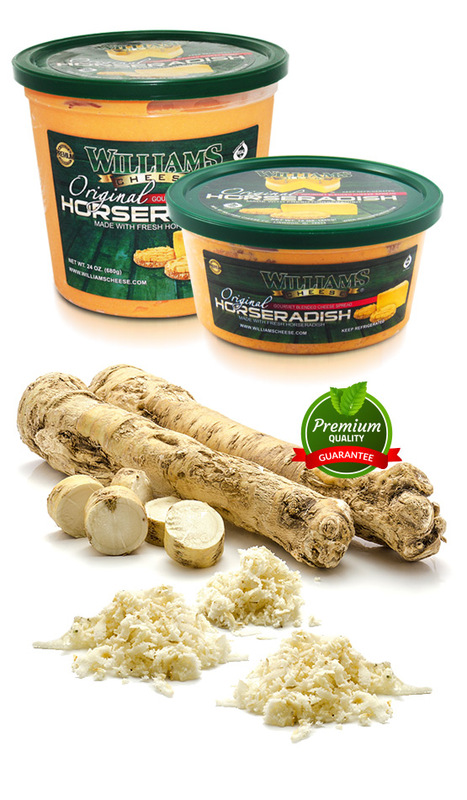 This Gourmet Blended Cheese Spread has a great creamy texture with the perfect kick of Horseradish. 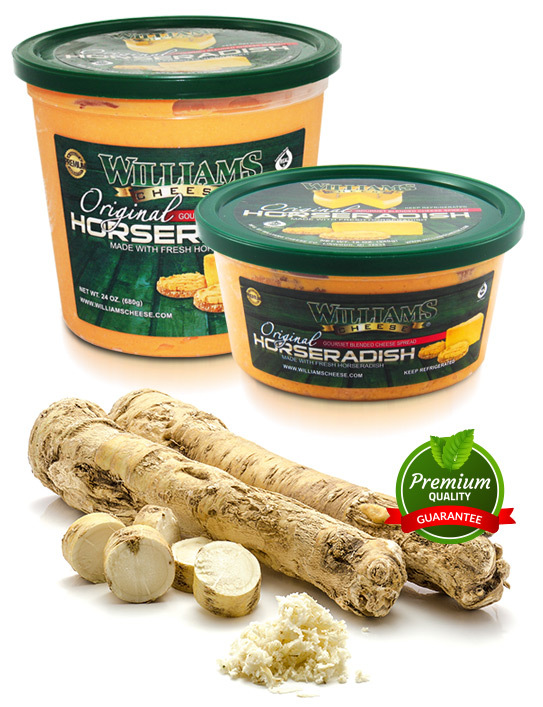 From appetizers, to a casserole, or a sandwich, you can’t beat the mouth-watering taste of our Original Horseradish Cheese Spread.